It's a tad strange for the Pokemon Company to reveal to players how to obtain a certain Pokemon within one of their games before it's even on the market - outside of Event Pokemon that correlate with the release of the games - but that's exactly what they did with Pokemon: Let's Go, Pikachu. 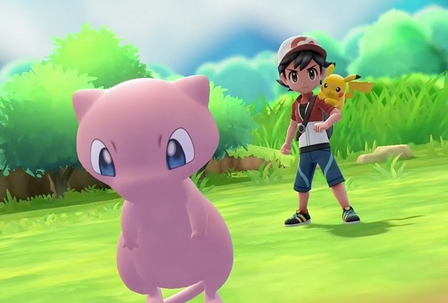 In this reveal, it was told that players could obtain the Mythical Pokemon Mew by buying the Poke Ball Plus Bundle for Pokemon: Let's Go, Pikachu. Additionally, it was shared that this will be the only way players will be able to obtain Mew within said game, forcing players to pay the extra for this bundle should they like to journey through the Kanto Region with this very rare Pokemon.